Is the backward lettering on the Side B label intentional or did I get a misprint? 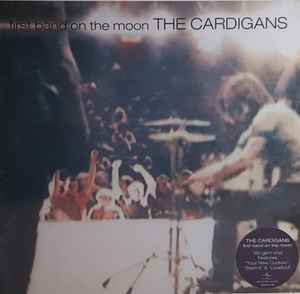 Another great pressing of The Cardigans. Very bright. Nice work on Nina's voice then. After hearing this album reissue, you will surely want to get some or all of the other titles out on vinyl now. It appears that you can get this title on LP in the US, but if you want Emmerdale or Life, you'll have to buy from the UK. This pressing sounds great! Very High quality reissue all round. Never heard an original press but this sounds fantastic and looks great! Great pressing and mastering. Very pleased! The other reissues are also great. Beautiful pressing, the sound is very clear, the bass really pops as hoped for. A quiet pressing and the packaging is all high quality. Not sure how this pressing stands up to the original and I'm currently waiting on some of the Cardies other records from this repressing to arrive to see if they sound just as good. Highly recommend this pressing. i have an original press of this and was wondering if this new reissue is an upgrade, sound-wise. anyone have both?